Lunch at Sichuan Moon in Macau. 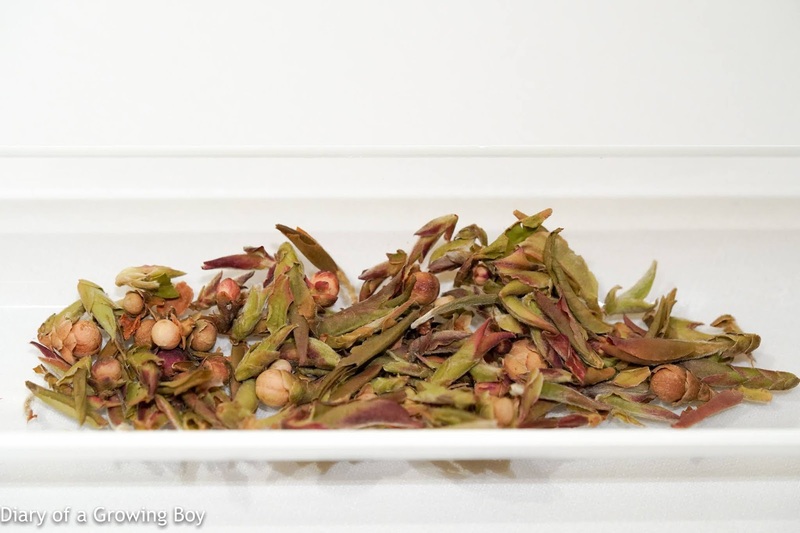 The Pu Er flower buds tea is apparently a rarity, with the tea trees growing at an altitude of 2,700 meters and a total production of 50 (?) kg. Only the flower buds and shoots are picked, and we are told that leaves will never sprout in the same place again. 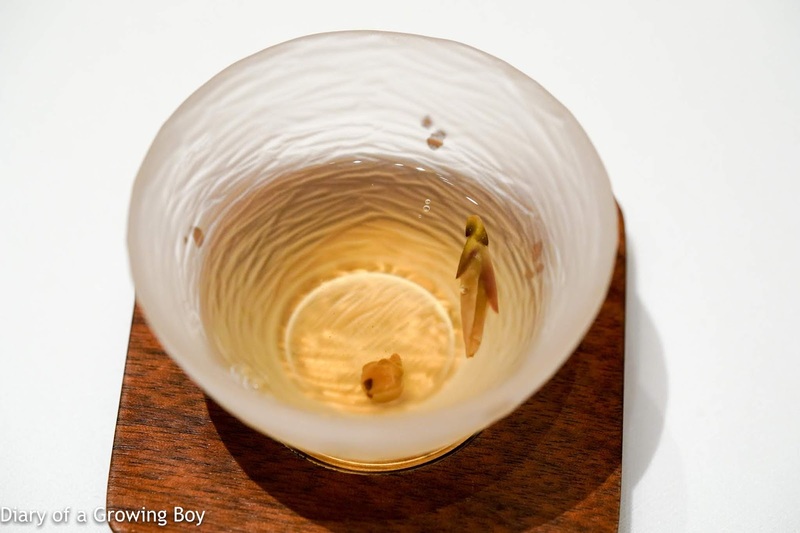 Whatever the story, the tea was indeed very floral, elegant, and beautiful. Passing by Chengdu - rum-based with pickled juice and sesame oil added so that it matches well with the appetizers (涼菜) which use sesame oil. 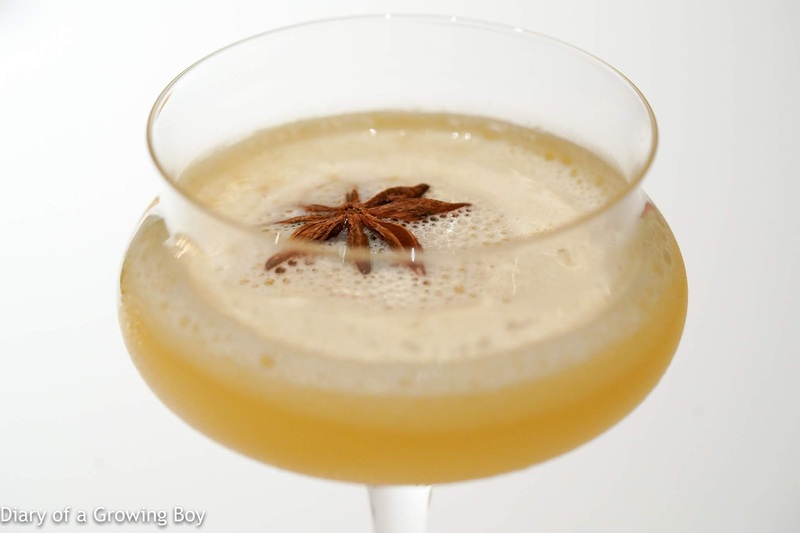 Savory and sour, with the distinctive fragrance of star anise. 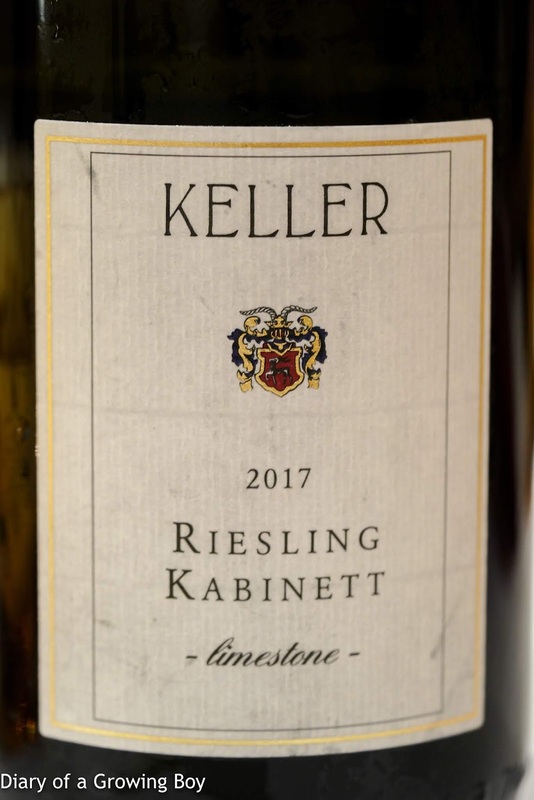 2017 Keller Riesling Kabinett Limestone goldkapsel, from magnum - I had no longer that Keller made a goldkapsel version of the humble Limestone kabinett... and that it was only bottled as magnums and only available at Sansibar on the island of Sylt, Germany. Very clean, with a little white flowers. 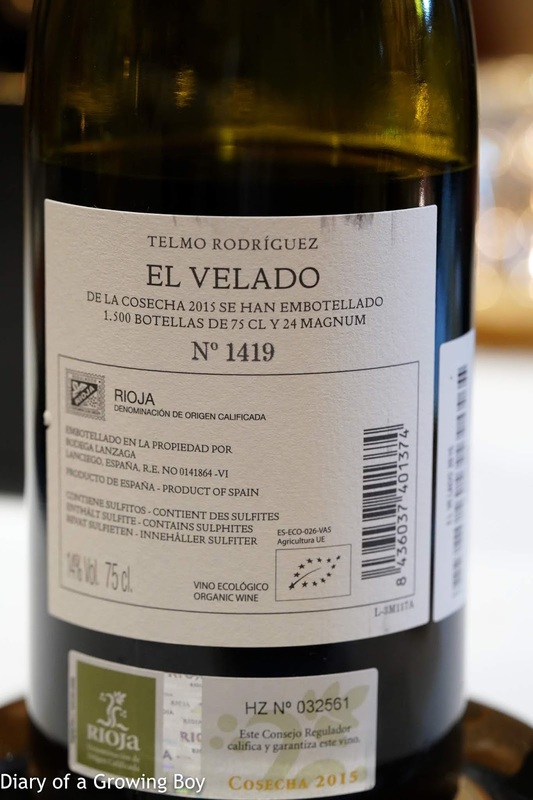 The acidity is there but this is surely off-dry with some sweetness. Full on the palate but softer finish. 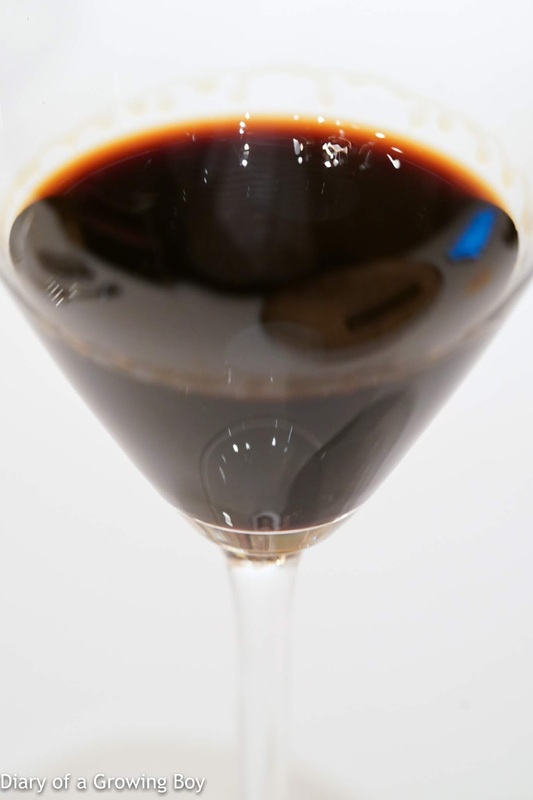 Tsingdao Original 13° (青島啤酒原漿) - this is unpasteurized, unfiltered, and undiluted. 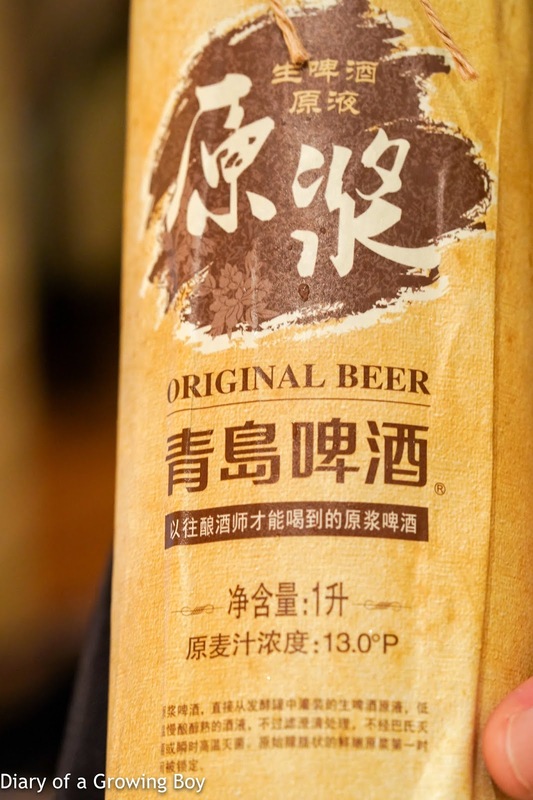 Apparently this is flown from Chengdu to Macau twice a week, as the Chengdu branch of Tsingdao Brewery was the first to develop and market this "original beer" - which has a shelf life of just seven days. The flavors here were so clean and not at all bitter. It tastes like witbier, but even softer and more elegant. For a guy who dislikes beer for its bitterness, this was probably the best beer I have ever had. 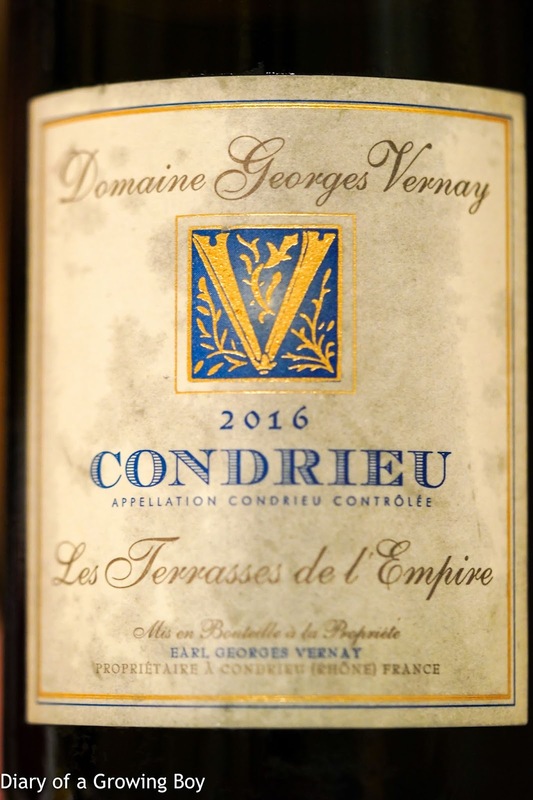 2016 Georges Vernay Condrieu Les Terrasses de l'Empire - great on the palate. 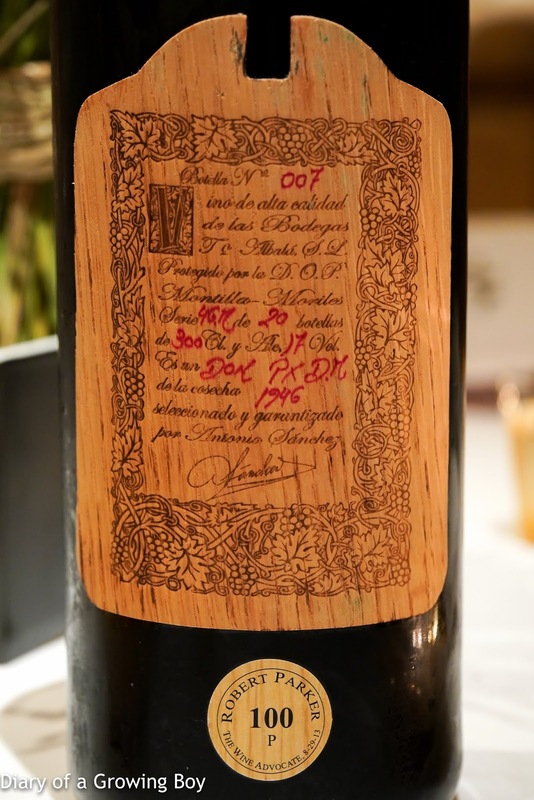 Floral, elegant, subtle, with a bit of that overripeness that is almost acetone, and slightly bitter mid-palate. 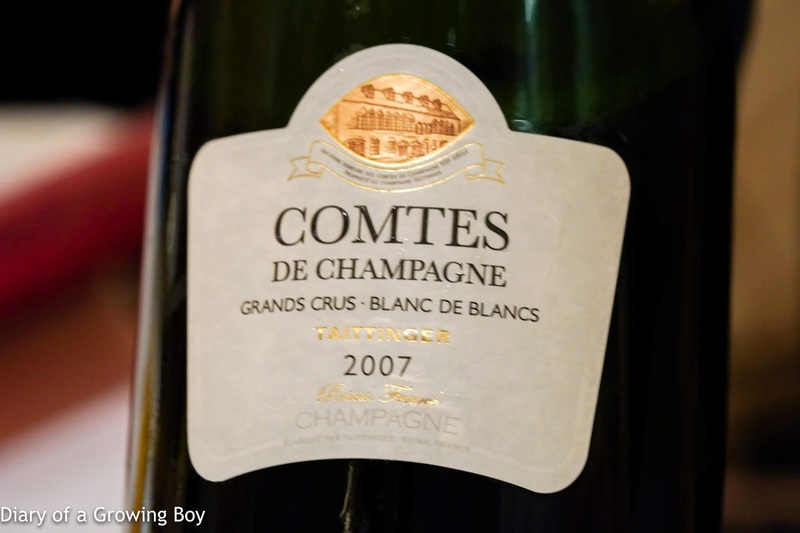 2007 Tattinger Comtes de Champagne - very yeasty and moussy. 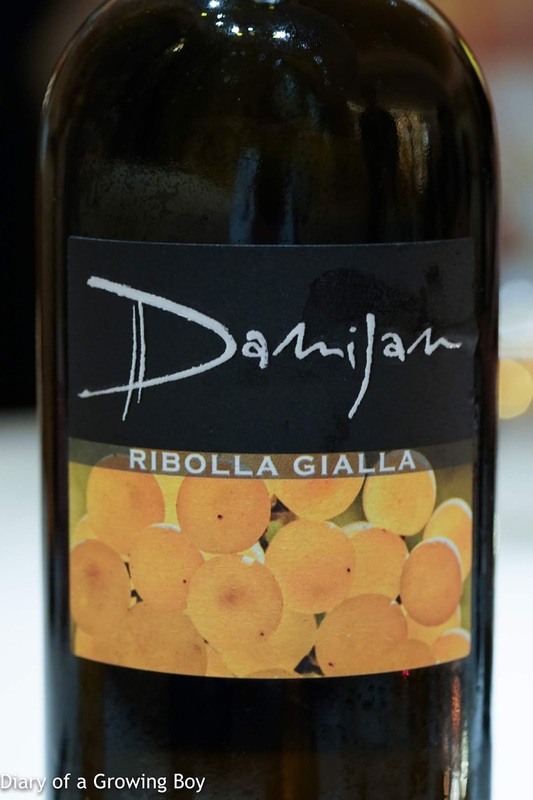 2014 Damijan Ribolla Gialla - this is "yellow wine" or as I would classify it, bongwater. 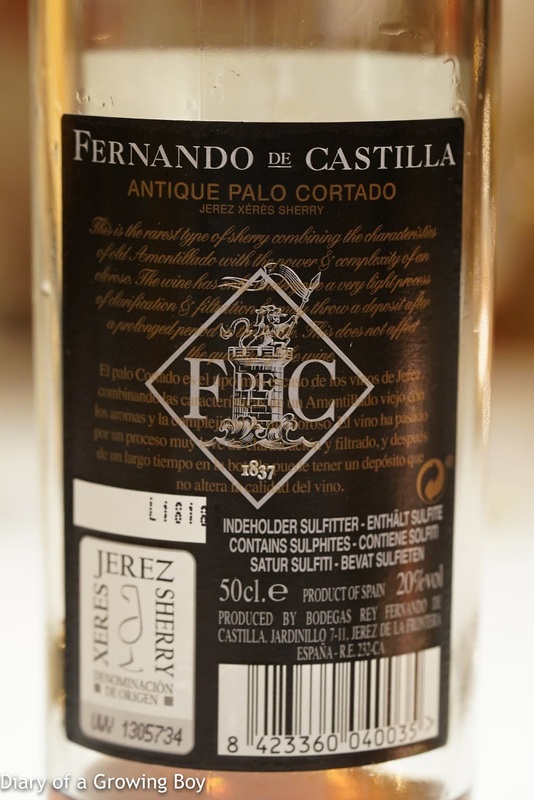 This showed acetone, like a dry Sauternes. Very aromatic, and paired well with the custard. 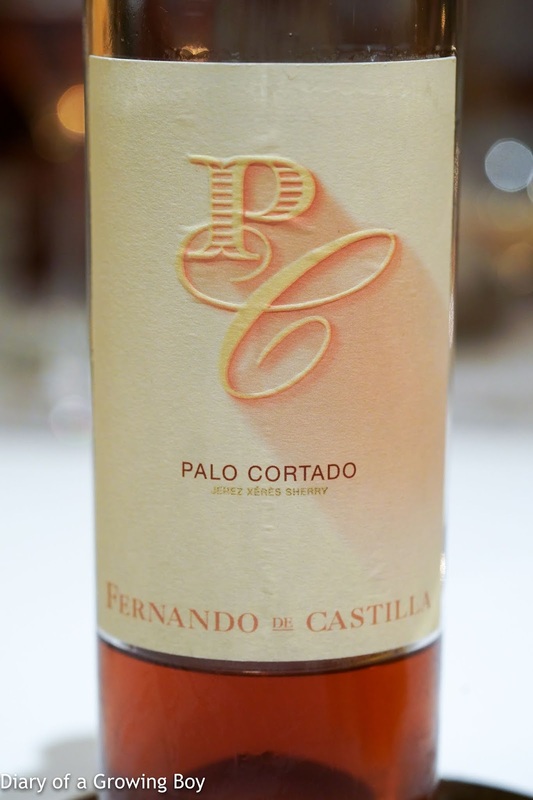 Fernando de Castilla Antique Palo Cortado - untiltered, very nutty, medjool dates, and not very "clean". Very oxidized, obviously, and pretty dry on the palate. Just love the fragrance in the mouth. 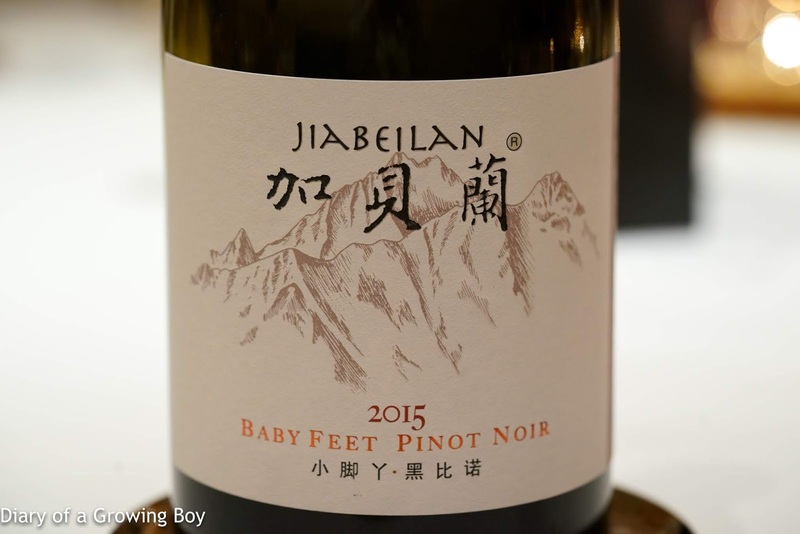 2015 Jiabeilan Baby Feet Pinot Noir - nose was interesting with leather and fruit. Much better than the last time I tasted it. Some sweet bubblegum later. 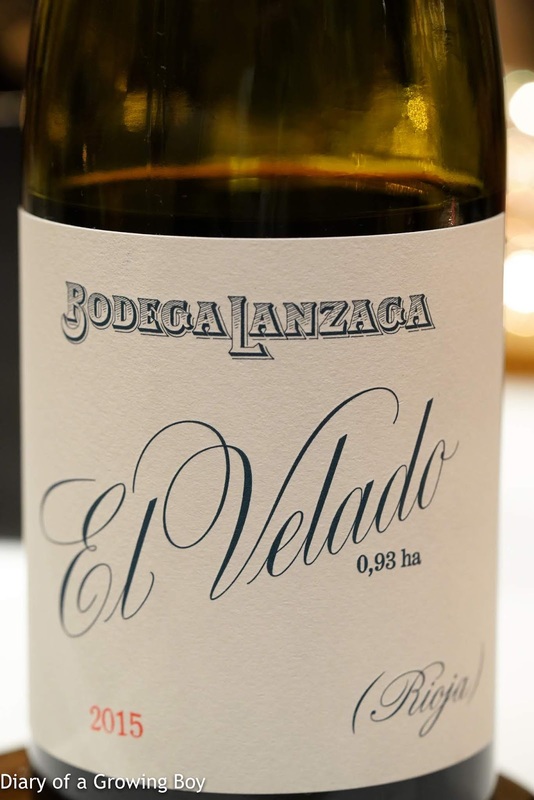 2015 Lanzaga El Velado - fruity and fragrant, with some dried herb potpourri. 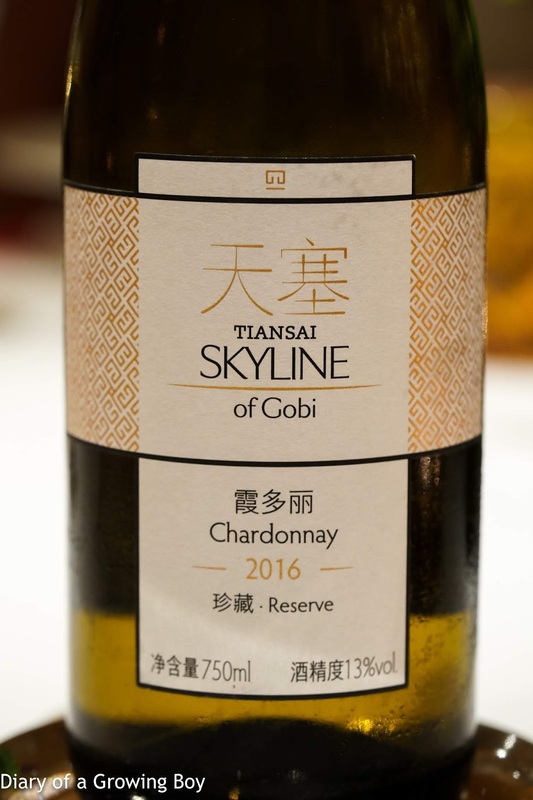 2016 Tiansai Skyline of Gobi Chardonnay Reserve - nice and toasty with good lemon and citrus notes. 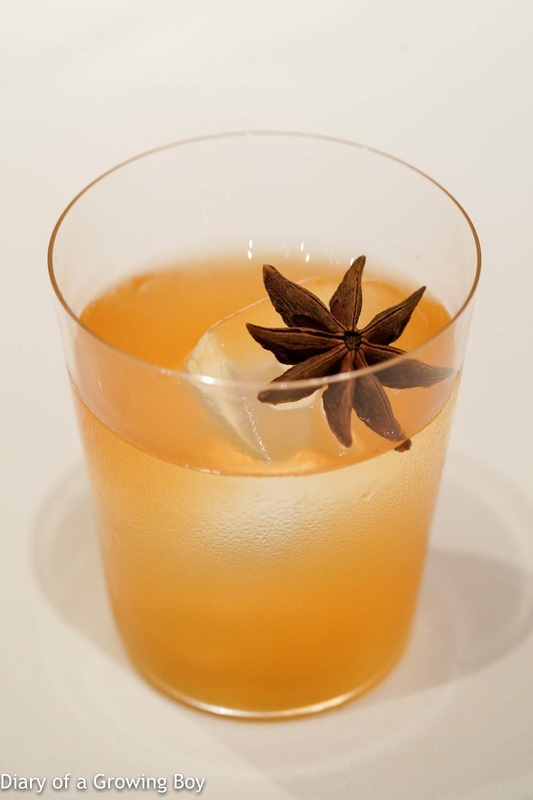 Spicy Goji - a mocktail made with gin infused with spices and herbs, which subsequently had alcohol removed, and to this wolfberry flavors were added. 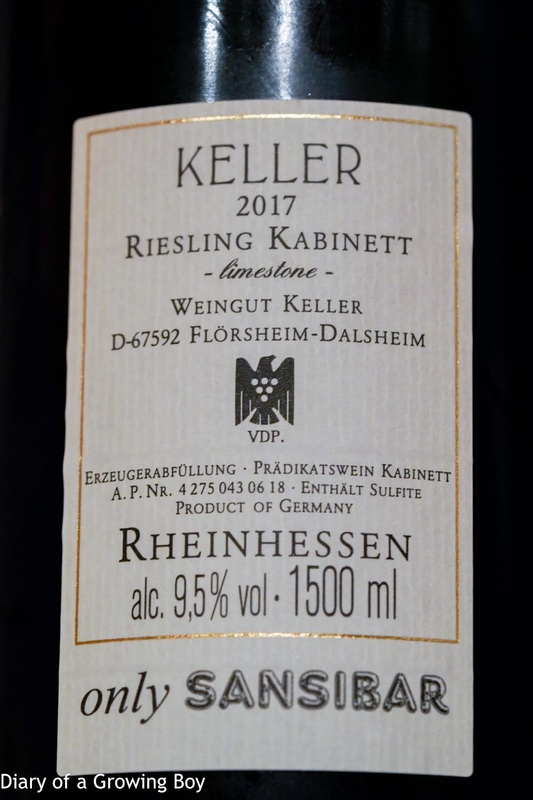 This tasted fermented like pickle juice, both sour and savory. 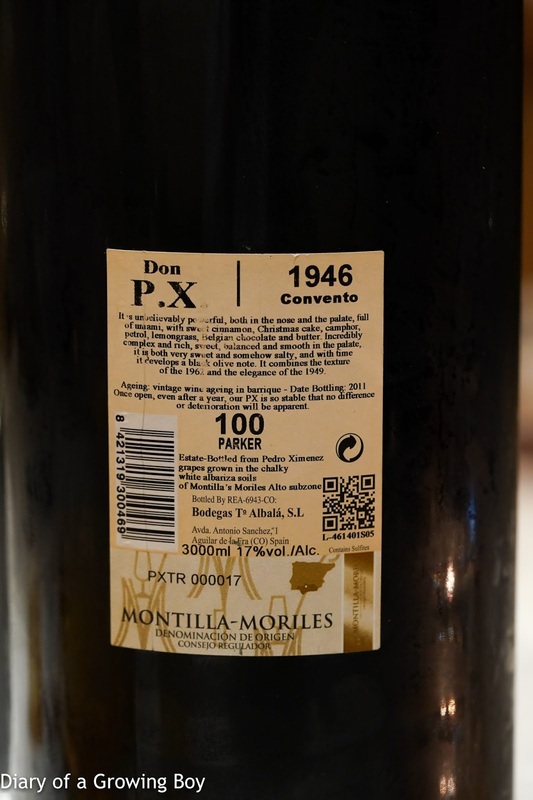 1946 Toro Albalá Don PX Convento Selección, bottled in 2011, from double magnum - lots of potpourri, pine needle, sweet on the nose. Just look at this color! Very rich, soooo viscous. Downright unctuous.